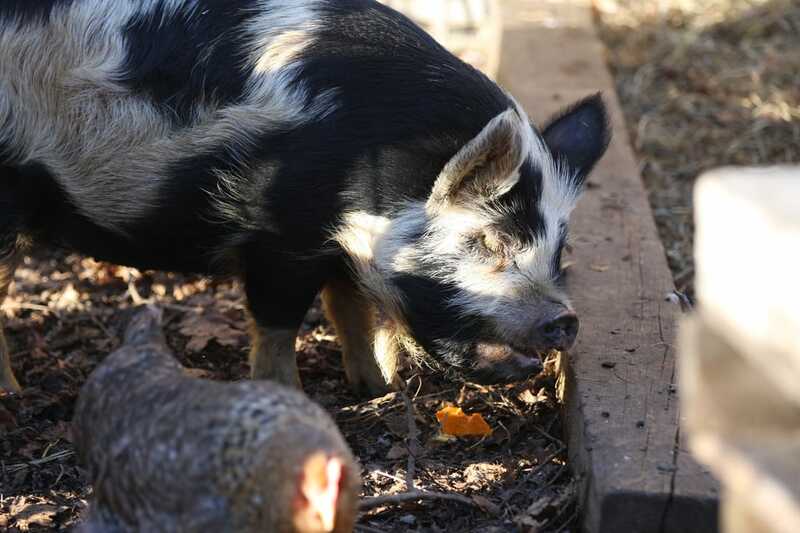 Here at Kippy's Farm we have four registered KuneKune Pigs. Two Sows and Two Boars all from differing genetic lines. KuneKune pigs are known for their extremely docile and friendly personality which is unmatched by any other breed of swine. They are extremely outgoing and love human interaction. They are a grazing breed of swine and as such prefer to graze on grass. Their short and upturned snouts make them suitable grazers and less prone to rooting found in other breeds. KuneKunes are known for having 2 wattles found under their chin. They have little to no desire to roam and do not test fencing. KuneKunes are still rare in the USA, but are gaining popularity very quickly, finding their niche in many different markets.